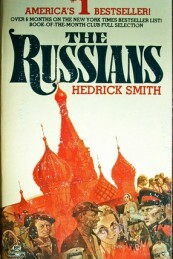 The Russians, Hedrick Smith’s classic best-selling account of life in Socialist Russia, is still regarded as a defining exploration of the Russian soul more than twenty years after it first appeared in print. This is not the synthetic Russia of the Kremlinologists, but Russia face-to-face, the texture of life as Russians live it. Few reporters have had the stamina and the ingenuity to penetrate the tight government controls and xenophobia to see the Russians as they see themselves. Moscow Bureau Chief for The New York Times from 1971 to 1974-and awarded the Pulitzer Prize in 1974 for his coverage from the U.S.S.R. and Eastern Europe-Hedrick Smith probed and painstakingly pieced together an amazing jigsaw puzzle of habits, humor, and idiosyncracies that presents a Soviet reality that few in the West experienced first hand. Smith guides us through this enormous, complex, and seemingly unknowable Socialist empire. He takes us into the system of hidden privileges and the dachas of the elite, into secret rock concerts with the young, into Russian schoolrooms with his own children, into shopping queues with women who line up without even knowing what is on sale, into the vast secret economy of the black market, into the factories where, despite the Plan, work is astonishingly chaotic, into libraries and news services where information is rationed according to the rank of the readers, into the world of artists and writers whose urge to rebel is compromised by lucrative official rewards, and into the minds of the Communist apparatchiki and their jokes about Soviet leaders. He pauses for vivid encounters with such memorable personalities as Sakharov, Solzhenitsyn, the Pasternaks, and Nadezhda Mandelshtam. The Russians are revealed as a richly paradoxical people driven by contradictory energies that are as enduring as Russia itself: latent anarchy posed against a preoccupation with control, a sentimental warmth behind an almost brutal public coldness, a brooding sense of national inferiority beneath a compulsion for extravagant claims, an egalitarian idealism undercut by an obsession with order and perquisites of status, a general acquiescence to the system and an inbred instinct to beat it.